Here's another Kickstarter success story for you. 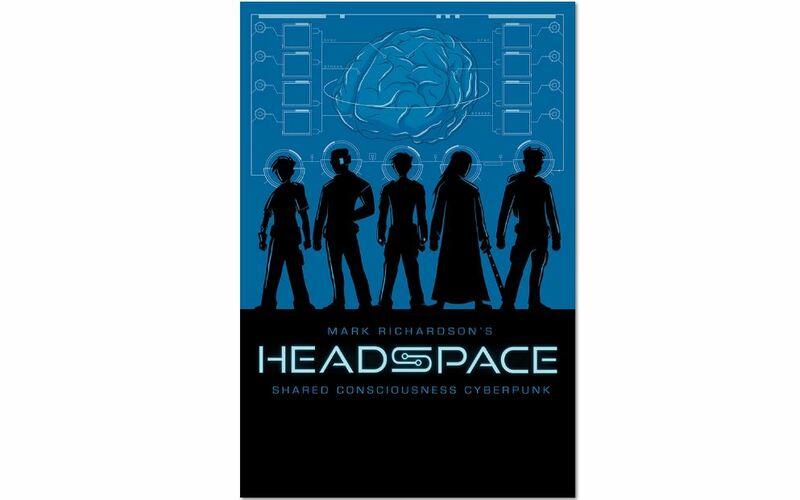 Green Hat Designs ran a campaign for Headspace, their cyberpunk RPG that was successful. Backers have their stuff, and now it's time for those of you that might've missed out then to get the game now. What happens when super-operatives have a change of heart about the Corporation-controlled dystopia they've made? Well, that's up to you. You are an Operator. You've chosen to fight for the good of the common people. You wouldn't be able to do so if it weren't for Headspace, technology that lets you share your consciousness with others. But with shared consciousness comes shared memories. Will you be able to leverage the bonuses of such technology versus the downsides, such as sharing bad memories or regrets? The Headspace book gives you detailed rules for 6 unique Operators, each with a very specific purpose. Along with that, there's rules for how to handle the different emotions as you share them across the various players. There's also rules for how the DM can create the proper tone and setting, with giant corporations looking to undo whatever work the Operators do.